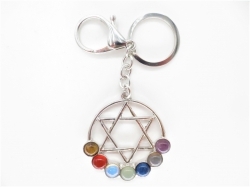 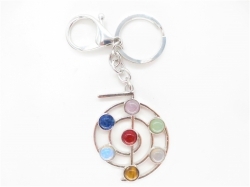 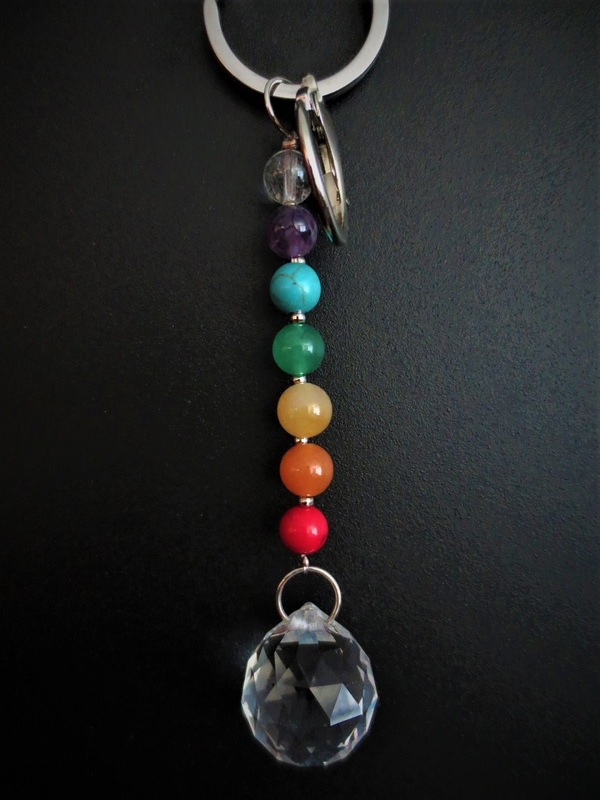 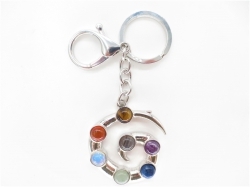 7 chakra keychain with different gemstones. 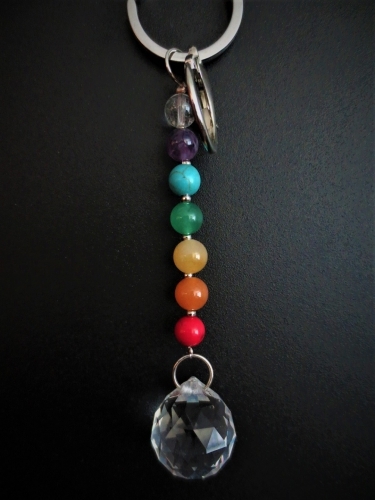 The pendant is made of silver. 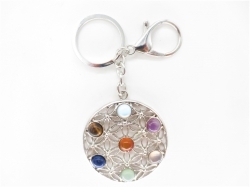 Available in different shapes.